You can setup any CallAction drip campaign to end on a specific date regardless of when a drip campaign was assigned to a contact. Now, your drip campaign will automatically end on specified date regardless of when the drip campaign was started for a contact. 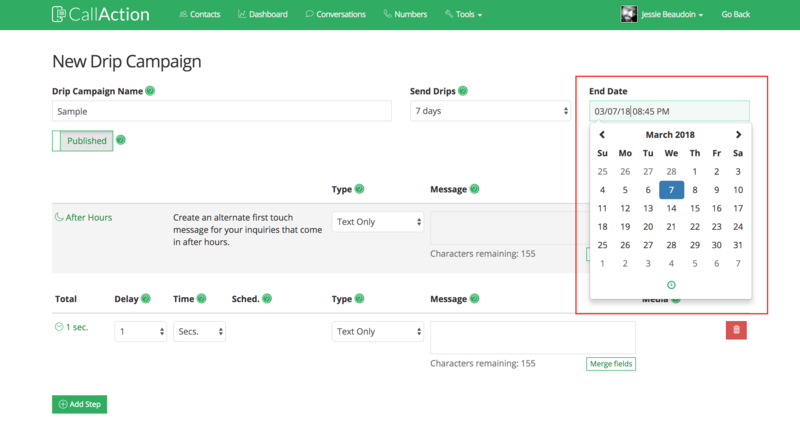 You can use the drip campaign end date with our text for info drip campaigns or any other integrations or workflows.